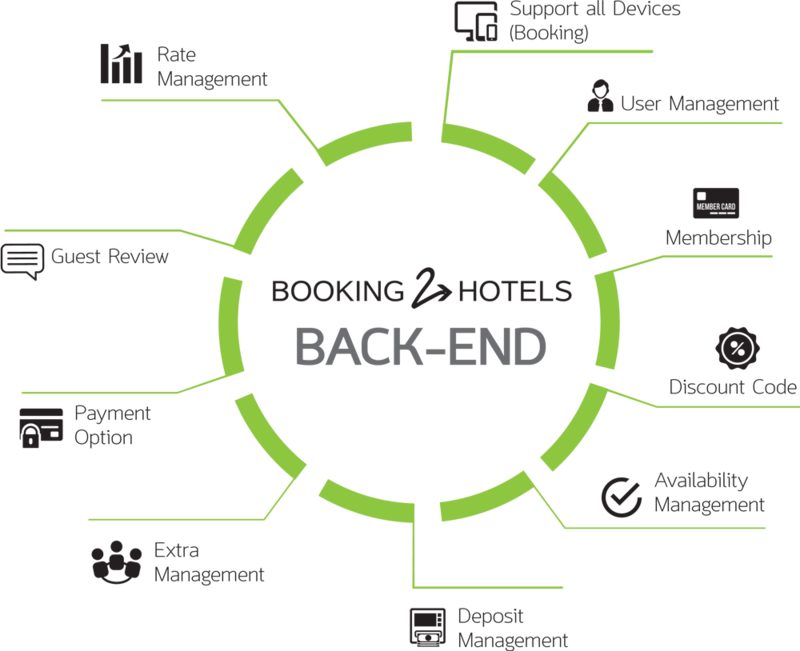 Booking2Hotels is an online booking engine that drives your online distribution business by providing an efficient and flexible platform to support you, and bring a user-friendly user experience to your customers. Highly integrated to enhance the hotels’ websites to be able to convert the viewers into actual customers effectively. No cost for installation or set up of Booking2Hotels. As a valued partner, you will be charged no annual fee for the use of our service. With cutting edge technology and state of the art security system, users are able to fully manage the rate, inventory, customize promotion, members, payment method, content, reports etc. easily and with total confidence. Fully manage all data in real time. 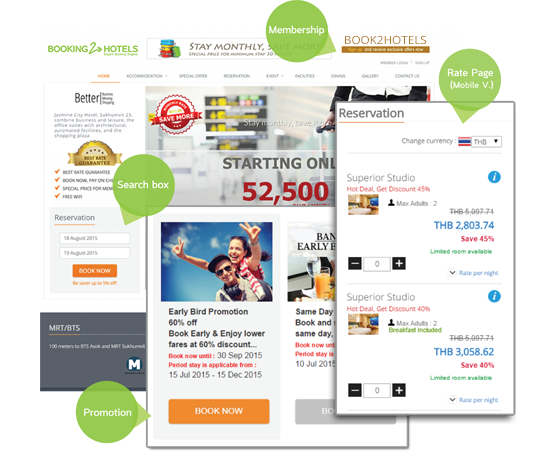 Booking2Hotels optimizes your online distribution with better conversion. Booking2Hotels adapts to any size screen and any type of device. Keep the current look and feel of your website and provide a seamless experience for your users – making it easier for them to book with you. Our experienced marketing strategy support team and industry-leading training program will help you to maximize your revenue and boost your occupancy levels. Pay per the materialized booking or transaction of the actual stay in accordance with our standard agreement.